Whether you’re a small business with a variety of bonding requirements, or an individual looking for a specific type of bond, Ramey Insurance has a surety program designed to fit your needs. We can get you a contract bond up to $350,000 with only a credit report. We specialize in contract bonds but offer several types of bonds to fit your needs. 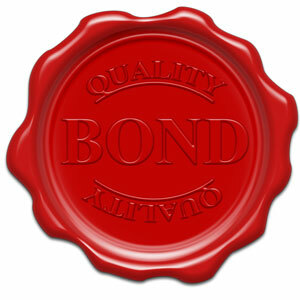 We offer a quick response to your bonding needs. Less than an hour turn around time!